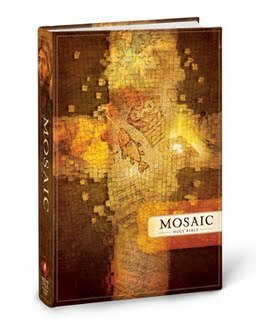 Holy Bible: Mosaic is about helping you encounter Christ in a deep and authentic way, through insight from every continent and century of the Christian Church. Historical and contemporary art and writings from across the globe offer a depth of Scriptural wisdom and understanding as you read and reflect on God’s word. Mosaic is arranged so that every week has variety of content for reading and reflection. Each week follows a theme appropriate to the Church season (such as Advent, Easter, etc). The content included for each week includes full-color art; Scripture readings; a historical reading; a contemporary reading; a prayer, creed, hymn or quote; and space for reflection. -A gift certificate for $100-$500 to Amazon.com.